As the long-running MMO-action game hybrid gets ready to launch their second open-world environment they're giving us a sneak peek at the icy slopes of Venus. It’s only been a few months since Digital Extremes revealed where their next round of open-world content would be taking Warframe at their annual TennoCon. Fans were treated to a brief glimpse at some of the new mechanics that the frozen tundras of Fortuna held for them, but there’s so much more that has yet to be revealed. Now, with less than a month until its full launch we’re getting a closer look at what awaits on the surface of Venus. 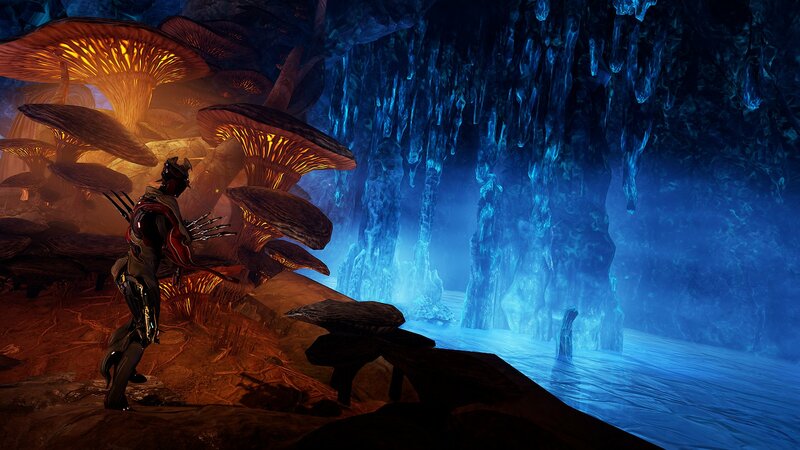 Players' first introduction to Fortuna will be through the underground colony. The colony is inhabited by a group of miners that are indebted to their Corpus overlords. They’ve essentially sold their existence to them for technological augmentations. But, with the arrival of the Warframes, there is a new hope of taking down their wretched overlords. While the brunt of liberating the citizens of Fortuna will fall heavily on the shoulders of the Tenno, they will get some help and encouragement from several NPCs. The aptly named Rude Zuud is a storekeeper who will help players create their own custom secondary modular weapons much like the mix and match melee weapons that were available in Plains of Eidolon. 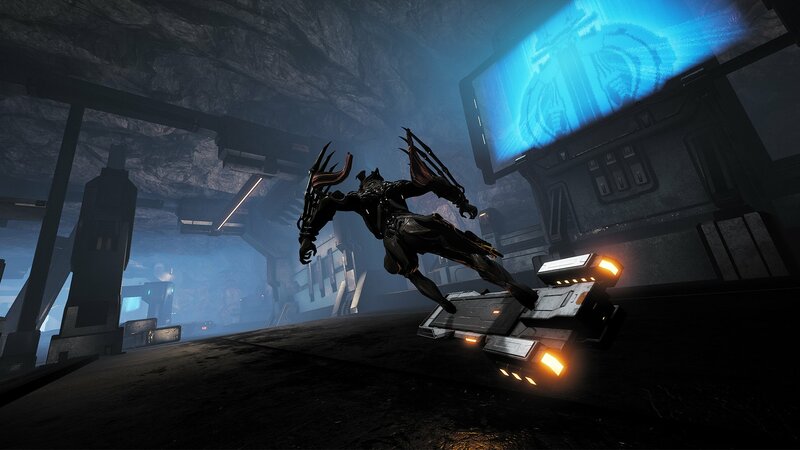 A rag-tag group of orphans known as the VentKids will set you up with the brand new K-drive which is essentially a hoverboard that will let players kick-flip and grind their way around the surface of Venus, including over large bodies of water. You’ll also run into the VentKids in the open world where they’ll challenge you to races to earn some street cred as well as resources for the K-Drive. Doing tricks like backflips during the races help earn points and increase your standing with the orphans as well. Players will also now have access to a new companion in the form of MOAs. 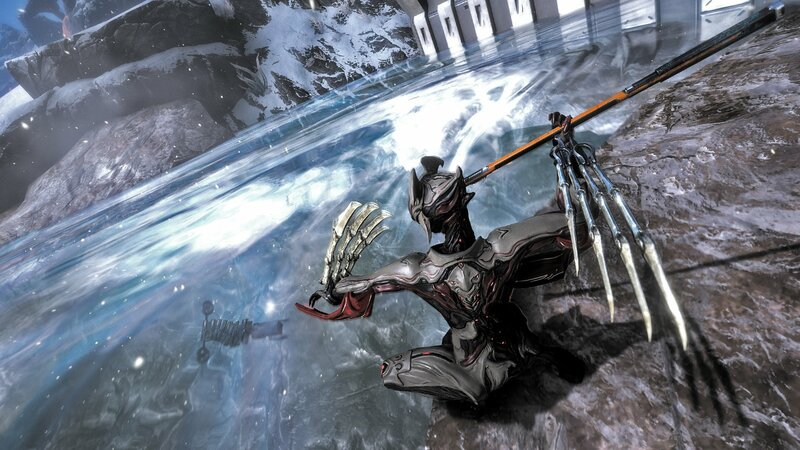 Longtime Warframe players will most likely be familiar with the leggy bots from their antagonistic role, but now they’re getting their own, programmable robot friend. 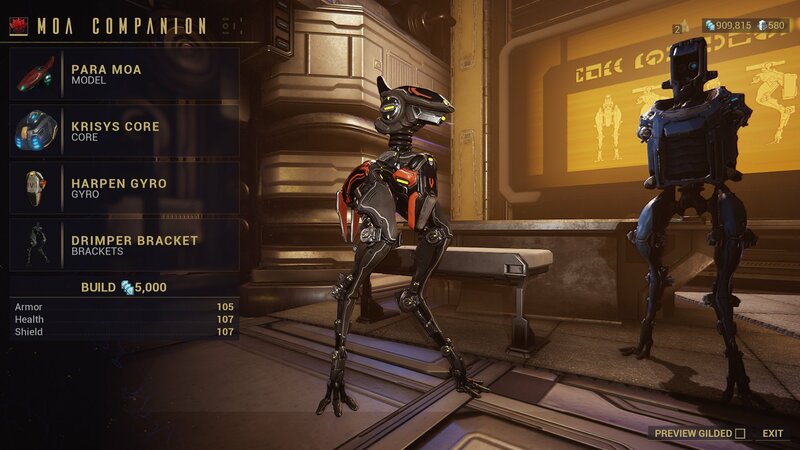 MOA companions will have their own customizable parts and will work with pre-existing mods. One of the more interesting aspects of their customization is the addition of personality chips, meaning you’ll be able to make them shy, aggressive, sensitive, or any other number of emotions. The actual types of personality chips that will be available with the new update have yet to be revealed. Once players make it to the snow-capped surface of Venus they’ll have a number of activities to spend their time with. Along with the brand new K-Drive races, mining and fishing will be making their return, but with a few tweaks. Since the fish on the planet are essentially bio-organic cyborg constructs, players will now have to not only hit them with a magnetic spear, but also time an electrical shock perfectly to subdue the robo-fish. After taking a look at the fun factor of the mining mini-game in Eidolon the team at Digital Extremes has retooled it to be all about timing. When a player finds mineable resources they’ll simply shoot it with their laser tool and try to time their release with a meter that fills up for optimum yield. Hunting missions are also being introduced that will have players tracking down native species in order to preserve and protect them from the invading forces. Players will find areas around the map where they’ll be able to track down creatures by following trails or finding signs of life like animal droppings. Overall, Digital Extremes is taking what they learned from making Plains of Eidolon and making course corrections. A lot of the economy was a waiting game in Eidolon and they’ve learned to give people access to the stuff they were promoting earlier on in the process. For instance, it took a long time to get the archwing launcher set up on Earth, so now things like the K-Drive will get in the hands of players early on. The key elements for taking Fortuna beyond Eidolon are going to be immersion and accessibility and the team is well aware of that. For PC gamers, Fortuna is just around the corner and should be launching in November. Xbox One and PS4 should get their updates shortly after that, which is the usual process for Warframe content. Either way, folks will be getting a hefty taste of Fortuna soon enough. 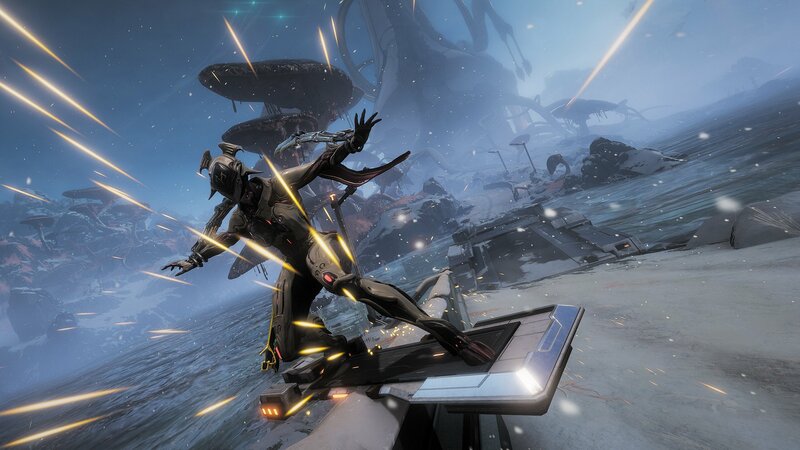 Warframe itself will also be coming to the Nintendo Switch soon.